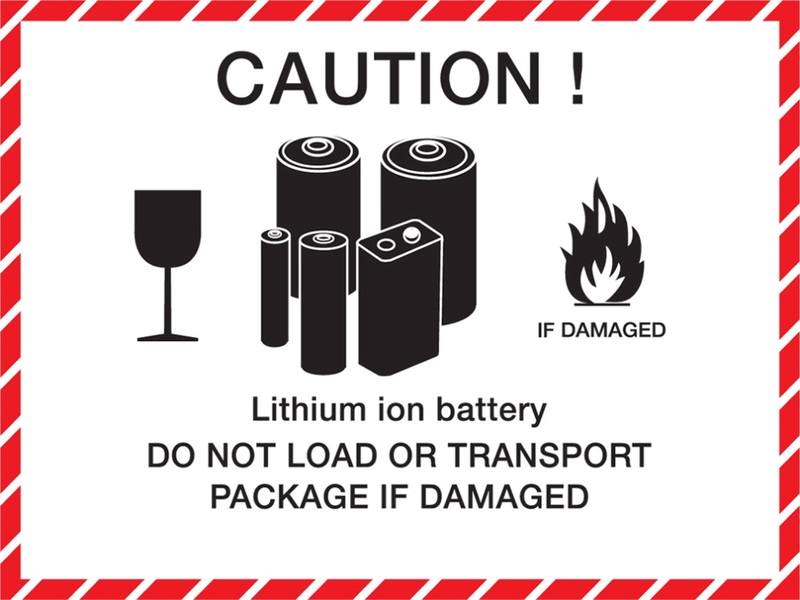 Lithium batteries: why the caution? Since 2014, the regulations concerning transport of lithium batteries by air have undergone a bewildering number of changes. This applies to both lithium metal and lithium-ion batteries. Performance, cost and safety vary across different types of lithium battery. They can be dangerous under some conditions posing a safety hazard as they contain flammable elements, unlike other rechargeable batteries, and they are also kept under pressure. We have all seen footage of articles containing lithium batteries bursting into flame. Although these are considered to be extreme cases, it still best to be cautious. For many years the nickel-cadmium battery was considered the only suitable battery for portable equipment from wireless communications through to mobile computing. That is, until lithium batteries were developed! Lithium, being the lightest of all metals, has the greatest electrochemical potential and provides the largest energy density for weight. The first Lithium batteries, lithium metal batteries, became commercially available in the 1970’s and are the non-rechargeable type we still see used for things like hearing aids, digital cameras and clocks. Today, lithium-ion batteries are one of the most popular types of rechargeable batteries for portable electronics like mobile phones, tablets and lap-tops. What can be carried “loose” or “bulk”, what can be carried “with equipment” or “in equipment”, how batteries must be packed, what % charge the battery is carrying, all of these elements impact on whether certain lithium batteries can or cannot be accepted for transport by air. Given this environment, many airlines have embargoed carriage of certain lithium battery types reducing the fast transport options available. On the 1st of April 2016, new rules from the International Civil Aviation Organisation come into play further restricting the carriage of lithium batteries on both passenger and cargo aircraft. So, what’s the best thing to do if you are considering shipping lithium batteries or items that contain lithium batteries? The number of batteries you intend to ship? Is it being carried in bulk or loose? Is it contained in equipment or packed with equipment? In addition, if you can provide a Material Safety Data Sheet (‘MSDS’) from the manufacturer for the item, all the better! Your DHL contact will then work with the DHL Customer Operations Group to discuss the options and ensure that shipment is 100% safe to put on an aircraft!